View Roller Banner Printing options. Create an impact at your next event or exhibition with roller banner designs you can edit online. PrintUK.com provides you with an online platform to which you can customise and design a roller banner reflective of your business. Click below to see prices and search our template library. Select a template by searching industry type, size, product or colour. With easily adaptable designs, edit the roller banner design to suit you and we'll print and deliver it to your door. View all Roller Banner Design options. Roller banners / pop up banners : Whilst a standout marketing tool especially for those mindful of their marketing budget, a roller banner is a worthwhile investment and will entice footfall to turn into customers. Customise your printed roller banner and captivate your audience with carefully thought out graphic design and information. Take your business on the road and generate impact wherever you go from exhibitions and events to your reception area. Roller banners offer an affordable solution for your display needs, pull up roller banners provide high quality at a low cost. As effective on the shop floor as at your next industry event. PrintUK.com provides high quality, cheap roller banner printing. 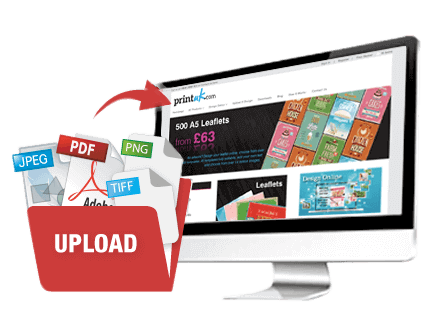 Upload your artwork files and order your banner online today. Whilst it’s tempting, do not overload the banner design, keep it simple and straightforward. Ensure your marketing message and product/services are highlighted clearly. Keep your banner organised making use of bullet points and boxes. A high quality graphic or image is a must, eye capturing and bold with vivid colours to complement. Think about text font and size it must be easily readable from up close and at a distance, you want to attract an audience from across the room at any trade show, event and exhibition. Use a primary phrase such as singular message, phrase or word big enough to attract attention whilst making a secondary message a little smaller. *think typography, it has to be legible. Keep important messages at eye level. Preferably at the top 1/3 of your pop up banner. Incorporate your business branding and logo whilst being creative, make your banner individual to catch the attention of passerby's. The final thing to remember, contact details. Include your website, contact number, email address possibly social media icons (to highlight that your business is on those platforms. These should be placed at the bottom of the banner but clear to read and easy to find. Roller Banners are essential to your business at events and exhibitions in order to increase your visibility and it's a great way of highlighting the products and services that you offer. It all starts with with creative graphic design. So when you upload and save your roller banner design you can come back to it anytime, on any computer. PrintUK.com can create you the perfect addition to your marketing material in the form of a roller banner, a firm favourite amongst a diverse range of businesses world-wide the roller banner is not to be dismissed. 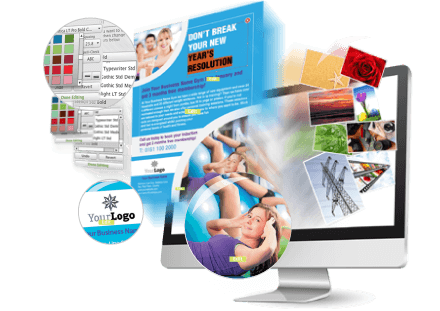 Using our expert tips, designs and graphic design templates you can create that extra something to your promotional material. Cost effective, easily transportable and eye capturing you can create a pop up banner today using our online templates and variety of specifications and finishes. One of the best ways to build up your brand identity is by showing it off! Get your name out there with our collection of roller banners. Remember to get your message out there by using an attention-grabbing image or logo, and let your pop up banners do the talking without any of the hassle. We have 2 roller banners online to choose from: Variable height roller banner and fixed height prestige roller banner. Large format printing and point of sale printing is designed to capture potential customers attention and we achieve that at PrintUK.com by printing your roller banners on a grey back film or PVC (your choice) on state-of-the-art large format printing machines to ensure that your colours are vivid at all times. Delivered to you assembled and in white label packaging, you can be set up at your event in less than a minute! Whether exhibiting at a trade show or your wanting to create impact to the entrance of your office, the versatile printed roller banner is a must have marketing material for you. From pop up display stands, permanent office features or enhancing a presentation there is no doubt that a roller banner can be used in a variety of business orientated environments. When uploading your roller banner artwork please ensure the document size has a 3mm bleed on all edges. Supply your roller banner artwork as a single page in high resolution (Press Quality) PDF format.